Welcome to the first interview here after the summer break! I have had the pleasure to speak with Eric Cannon of Backdoor Books. He is located in Wilmington, Delaware, in the USA. He has been an Etsy member since March, and you may remember his name from the last book swap in which he participated (click here to see his contribution). Hi Eric, nice to meet you! I am curious: Is there a story behind your Etsy-Name? I'd really like to say it was something meaningful or profound, but truth be told, a friend of mine named my shop. It was kind of random. I liked the way it sounded, and the way it looked. I come from a pretty crafty family. My parents own a bakery that did some pretty bizarre one-of-a-kind cakes. Our bakery was doing the crazy stuff long before any of the new celebrity bakers on TV today. Growing up with four siblings, and in that kind of environment, it was be creative or not be noticed. So, being the competitive lad that I was, I chose to study crafts in college. I went to a very good university in Philadelphia for a BFA in Crafts. In college we were encouraged to specialize and to experience all the different media. My specialty was Goldsmithing and Jewelry design. Working in gold is somewhat limiting. Because of the expense, you are not able to play and experiment. Everything is measured 12 times before you start. So as a bit of a relief from this I took a papermaking and bookbinding course. I figured paper was about as far away from metals and you could get. 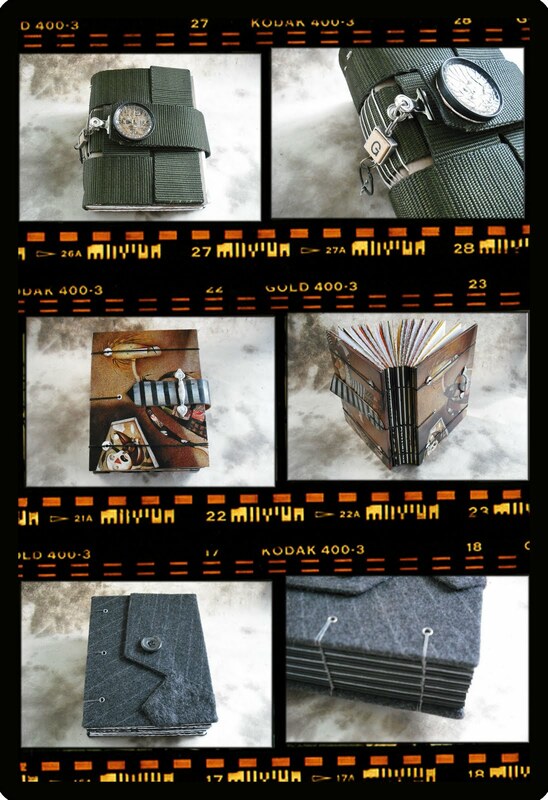 I really enjoyed bookbinding. It was so freeing but still had the structure and history that I enjoyed. Do you have a day job different from being an Etsy seller? And how does your life outside Etsy look like? I am currently only semi-employed. I was laid off from a job that I loved due to cut backs. Trying not to focus on how depressing that was, I poured myself into my binding and Etsy. Now I try to think of the lay off as an Artist's sabbatical. How many people actually get to take a few months off to create? I am very lucky.... poor, but lucky. My life outside Etsy? I spend most of my waking (and non-waking) hours coming up with new book designs, and ways to promote my shop. Etsy to me is not a website to make money, but a community of artist's coming together and share their work. Currently, my books are explorations in techniques and materials, and my work is a bit all over the place style-wise. And I am ravenous about discovering new techniques and binding methods. I get most excited when I am working with a new type of paper, or doing a binding method that I have never tried before. I really enjoy how old the processes are, and how these ancient techniques can be mixed with modern materials. I want my customer to be able to discover new things on my shop. I don't want to provide what they need, but rather show them what they didn't know that they wanted. I hope people buy my work because they are interested in coming along for the ride. I guess that's why I refer to my books as artist's journals. They are created by a creative person to contain the thoughts and ramblings of other creative people. 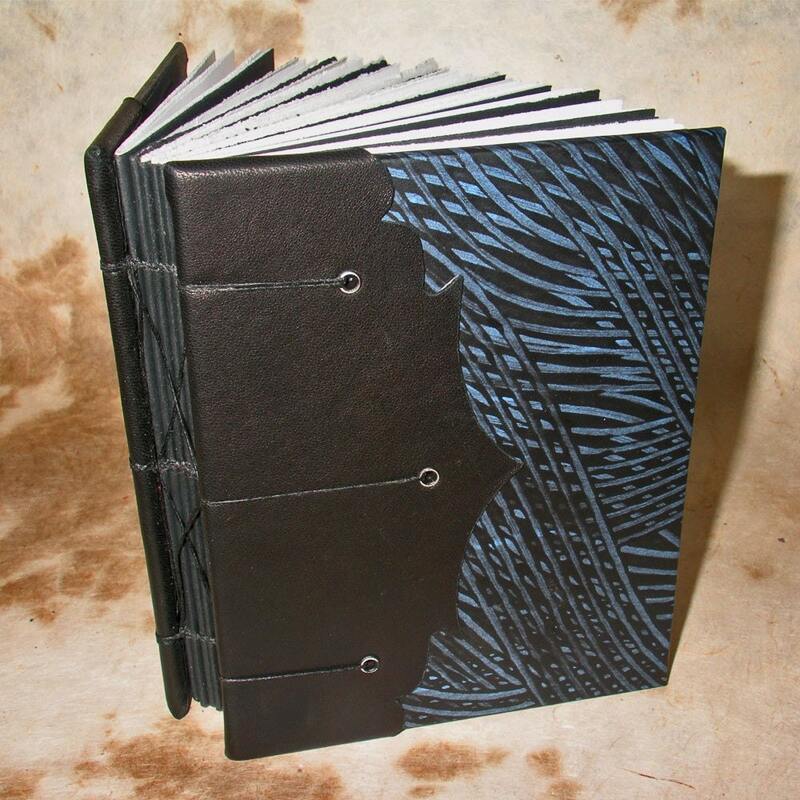 I call myself all kinds of different things: artist, craftsman, book binder. I have given myself so many labels (some not so flattering at times... but that's another story) Mostly I refer to myself as a craftsman. The title "artist," in my mind, refers to someone who expresses themselves in media that are not utilitarian. Craftsman make art that is used, it has a functional purpose. To the masses when you say you are an artist , they picture you with a paint brush and canvas. When you say you are a craftsman, they form no mental picture and will ask questions. I really enjoy the conversations that starts. Do you have a crafting hero? 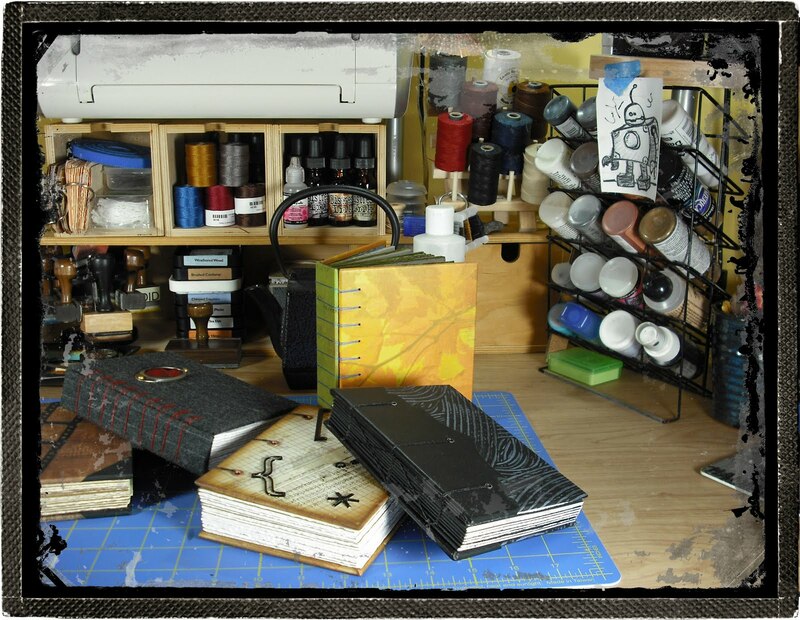 I really do love Tim Holtz. He is a product designer, craftsman, and he gets to travel the world teaching his craft. How cool is that? He has my dream job... wait a second...actually I kind of hate him for stealing my job! Can you give us an outlook what to expect from bookdoor books in the future?Right now I am focusing on my blog as a selling tool for my shop. I LOVE to do tutorials and share my learning processes. I am also planning on doing a give-away in November of some non-traditional materials for Binders. It's going to be cool so please stop by! Thank you for taking your time for this interview, and showing us around behind the scenes of backdoor books! Thank you all for taking the time to read this. Please feel free to stop by my blog and my Etsy Shop, leave a comment. I really enjoy the dialogue and the sharing of ideas and processes! 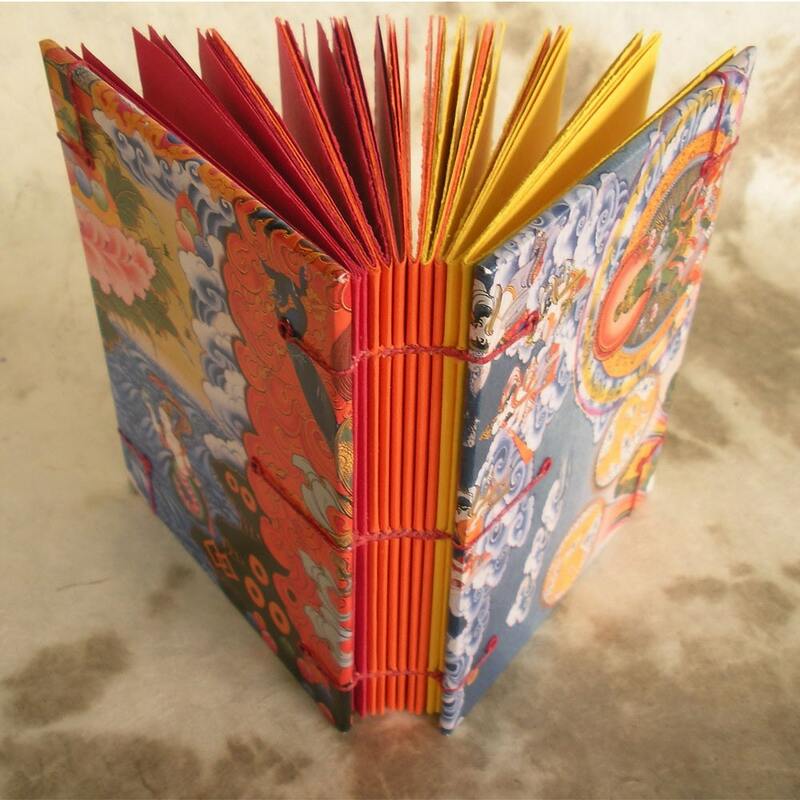 Lovely to learn a bit more about Eric and his bookmaking process and thoughts behind it all! I'm also a fan of Tim Holtz btw...he does have a dream job...hehe! I wish you much success Eric - maybe you won't need to take another "day job" and your crafting business will take off. You certainly have the skills - and it sounds as if you have the enthusiasm to match! Great interview! Eric is a really talented artist, and it's wonderful to learn more about how he came to be on etsy, making these wonderful books!